The Rachmastrivka Rebbe supports Kupat Ha’Ir’s orphan wedding program. I had nothing to my name, after losing my parents, and a broken engagement. I worked hard at my job to raise money to get by, but could still barely come up with enough to support myself and my younger siblings. When I got engaged again a few months ago, I was both overjoyed and frightened. Now I have a chance to start a family, but I have no way to make a wedding. I was alone. I was sure no one would help. Then we signed up for Kupat Ha’Ir’s orphan wedding program, and after our financial situation was confirmed, we were approved. I’m so grateful that the Rachmastrivka Rebbe has chosen to put his name on this campaign, to give brachos and to pray for the donors. Slowly but surely some are choosing to help myself and the 21 other orphans like me, and I am sure it is because of the gadol’s hascama. 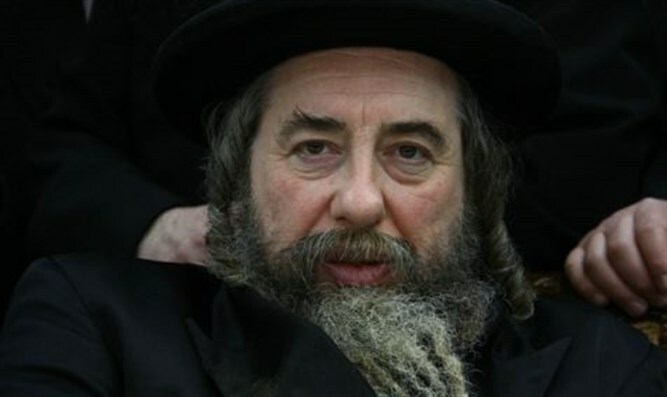 Other gedolim such as Rav Edelstein and Rav Kanievsky have supported the same campaign in the past. Now we are watching to see how much is raised. The goal is for us to raise enough for all of the orphans to be able to make their weddings before Shavuos, and to start their married lives with some dignity. I had almost given up. But the Rebbe saved my life, by giving me hope for the future. None of us have parents, but if someone like you can help, we’ll know we’re not alone. If you can help us, or want to learn more, please donate here.